Welcome to another new day in Carol's Corner. I wish I could say it's nice here, but we're into freezing temps tonight. I so am not looking forward to the winter weather again. 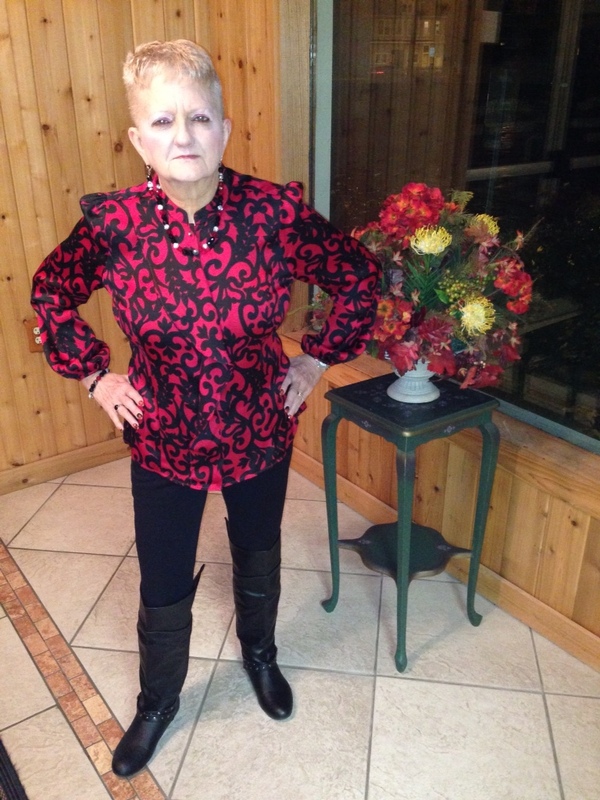 Tonight's pic finds me wearing this beautiful blouse I inherited from my mom. She bought it and it didn't fit her right. Well I adore red and the combo with black is kind of stunning. I thought the person who was the winning entry for naming this ensemble was right on. Jenn Zoblisein was the winner, with ” Victorian Grace.” I totally think it has that vibe. All my accessories were in tones of deep red and black. 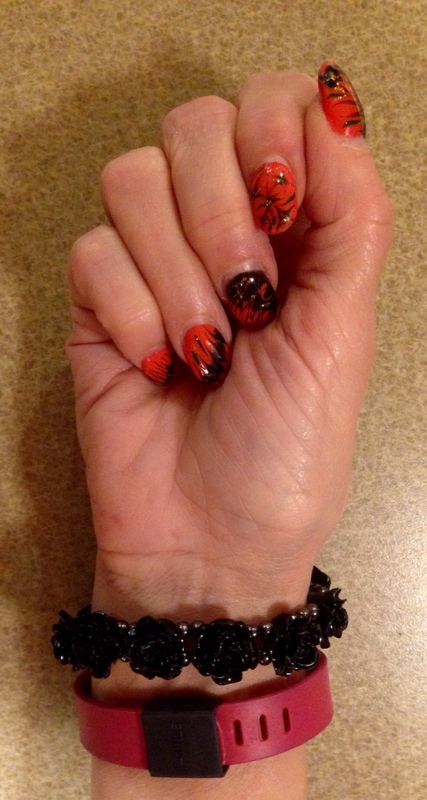 This flowered bracelet goes really well with the theme of the ensemble. My necklace and earrings were a deep red, silver and black. 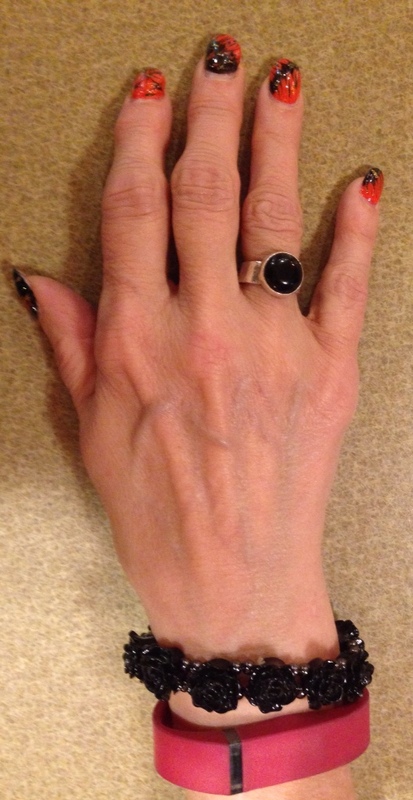 My black onyx custom designed ring is a perfect fit. Then I just added a black FitCuff and of course I had to wear these awesome black boots and then I'm ready for the day ahead. Remember ladies,the accessories can make an ensemble complete. For me accessories are everything. Tonight we are going to talk about success and failure in our weight loss journey and how we can look on these in a totally different light than you might be used to. Take the above graphic and really think on it. Is there ever what we could call a final chapter in the weight loss journey? Does success just last once you reach a certain point? I'm sure you know the answer to that. I can personally attest that it doesn't. I have allowed a number of pounds to creep back on and I still haven't gotten serious about taking them off, but I know I need to. It is slowly reaching that point where I have to do something before things get too out of hand. That brings us to the second point in the graphic above. Is failure fatal? Of course not, that is unless you give up the journey altogether. Because of the nature of our journey we all are probably going to go through many periods of success and conversely we will most probably go through many periods of failure. That brings us to the third aspect we see in the above graphic. And this may be the most important aspect. What do we do when we go through periods of failure along the way? This is what will really define us. Do we just throw in the towel and say what's the use, or do we vow to continue the fight through all the ups and downs that inevitably come our way? I vow to keep fighting even though I haven't gotten my eating habits back in control. I exercise religiously and know I would be far worse off if I didn't at least do that. I've decided I need to settle on a date when I will truly get serious about losing these extra pounds I've let creep back on. I've decided November 2nd is going to be day 1 of endeavoring to get my eating habits back on track. Is this something you need to do in your journey? Or maybe it's not your eating habits. Maybe it's your exercise routine. 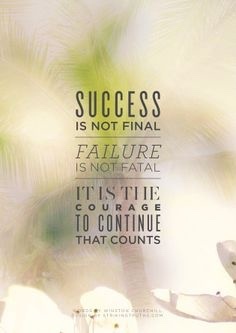 Whatever it may be, remember the above: Success is not final, failure is no fatal, and it is the courage to continue that counts. Are you ready to see failure in a totally new light and learn a new way of thinking? The above quote by Dr. Abdul Kalam could totally revolutionize how you and I see things from here on in. If we are going through a period of failure what should we do? And what do our failures mean? Well giving up should never be an option. Why? Because as Dr Kalam says, F.A.I.L. means “ First Attempt in Learning“. Do we ever stop learning? I hope not. When we are quote, ” failing” we don't choose to end our journey, because as Dr Kalam says, end is not the end, because E.N.D means”Effort Never Dies.” And lastly Dr Kalam says if you get NO as an answer along the way , remember N.O. means ” Next Opportunity“. So what do we take away from all this? Well first of all every time we go through periods that we think of as failures, view them as another attempt to learn new things to aid us in the continuation of our journey. And secondly, there is no end, because our efforts never die, unless we let them. And thirdly always think of no as your next opportunity to find even greater successes along the way. That brings me to the next avenue of this journey that I would like to touch on. 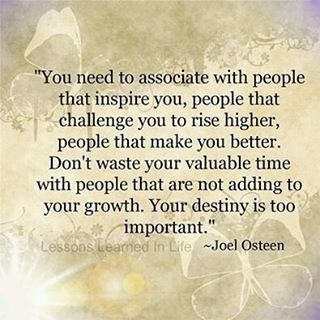 This has to do with the people that are in your circle of family, friends and acquaintances. Are there people in that circle who try to discourage you in your efforts instead of encourage you? Are they people who might have given up on themselves and are trying to get you to do the same? Well don't let them. You need to surround yourself with people who want to support and help you in your efforts. Keep your exposure to the negative forces in your sphere to a minimum whenever possible. Doing so will only help you in the long run. Here's something I came across that you might find useful. 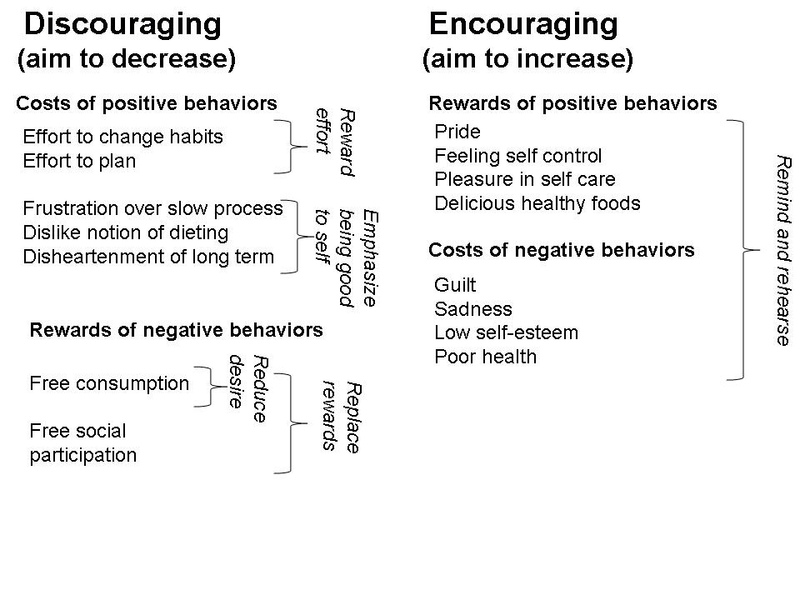 It shows the cost of positive behaviors vs the rewards of positive behaviors and the rewards of negative behaviors versus the cost of negative behaviors. The left column is Discouraging (Aim to decrease) and the right column is encouraging(Aim to increase). Look this chart over and see how you might utilize it in your daily journey. I'd like to close tonight's dicsussion with the above quote from the well known evangelist and motivational speaker, Joel Olsteen. These words will serve you well on your journey to health and wellness. Find those people that will inspire you, find those people that will challenge and motivate you to to be better than you think you are. 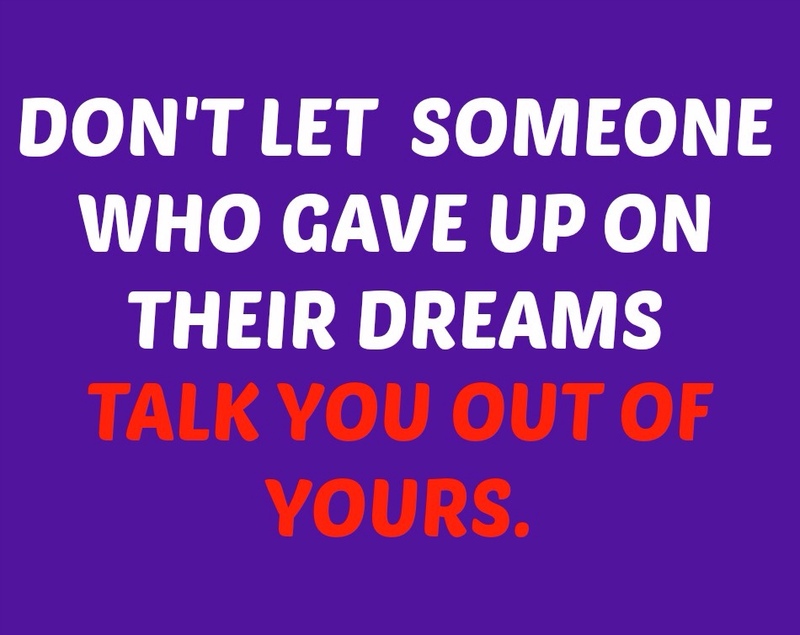 Keep these people close and forget about those people who try to bring you down and don't want to see you succeed. They are not worth your time. You are important. Your future well being is important. You have a destiny to fulfill. Go out and fulfill it. I believe in you . God believes in you. Till next time, God Bless.